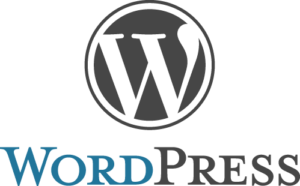 There are now several years since WordPress was considered a blog platform only. Today, it’s a full blown CMS and perfectly capable of powering corporate web sites. Here I provide you with 5 non-technical reasons why WordPress is well fit for a corporate CMS. WordPress itself has zero license costs. It’s free. Some superb extensions («plugins») has costs varying from US$ 10 to around US$ 1000. You get an awful lot of bang-per-buck. No matter what platform you choose, you will want to have functionality adapted your needs or even built from scratch, and this costs money. The advantage with WordPress is that it is built with extensibility in mind and that you probably want to change things. With next to no overhead, everything that is outputted is optionally filtered through custom functionality and action hooks are triggered for every step throughout the execution. This makes WordPress extremely easy and fast to build extensions for – thus lowering your development costs. There are more than 26000 free – gratis – plugins in the official WordPress.org plugin repository alone. To be true, the quality control is low and most of them do not suit a corporate web site. But again, let’s say take a conservative number and say only 1% is of high quality: That leaves you with 260 high quality additional software packages that you are free to use – without any cost at all. In addition to this, there are a lot of extremely well built commercial plugins available at extremely affordable terms. WordPress is GPL licensed (open source) and not dependent on the economy of a single vendor to survive. If your proprietary CMS vendor gets shut down tomorrow, where does that leave you? Almost 1 in 5 web sites run on WordPress and there are solution providers on «every street corner». There is almost no web agency who does not have experience with WordPress. If you’re unhappy with your current provider – switch the provider, not the CMS.